Reinsurance giant Munich Re has revealed the scale of the impact of hurricanes Harvey, Irma and Maria, as well as other losses including the Mexico earthquakes this morning, saying it expects its third-quarter major losses will run to approximately EUR 3.2 billion ($3.8bn). It’s a significant bill for the reinsurance firm to pay, as these figures are after it takes into account its retrocessional protection, and is a little higher than some of the industry analysts had been expecting. 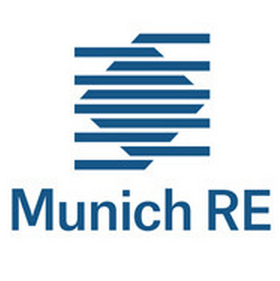 Analysts had expected Munich Re to report a loss for the third-quarter in the region of EUR 1.1 billion to EUR 1.7 billion, and this morning Munich Re put this in the middle of the range at EUR 1.4 billion ($1.65bn) taking into account the major losses suffered. The reinsurer had previously warned of a EUR 500 million to EUR 1 billion Q3 loss just from the impacts of hurricanes Harvey and Irma. Hurricanes Harvey, Irma and Maria are expected to cost the reinsurer EUR 2.7 billion after retrocession alone ($3.2bn), but the additional impacts from other natural disaster and man-made losses in Q3 2017 takes the total bill to EUR 3.2 billion for the firm. Munich Re said that these losses will not mean a full-year loss for the firm though, as if business proceeds without additional major impacts through the rest of the year it believes it will report a small profit for 2017. Munich Re acknowledged that the magnitude of loss estimates remain “fraught with considerable uncertainty” so these figures are all subject to change, should losses escalate for any of the Q3 events. Hurricane Maria is the one where losses could rise, given the complexity of the recovery for that island and the potential for business interruption. The magnitude of losses suffered by Munich Re means that investors in its Eden collateralised reinsurance sidecars are expected to share in some of these impacts. The Eden Re sidecars provide Munich Re with retrocession as well as allowing it to earn fees from sharing the return of risks it underwrites with institutional investors. 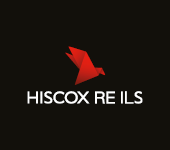 Additionally, it’s expected that Munich Re will have claimed on sources of fully collateralised retrocessional reinsurance as well, meaning the capital markets will have helped the reinsurer to keep its losses as low as possible, helping to protect its shareholders.